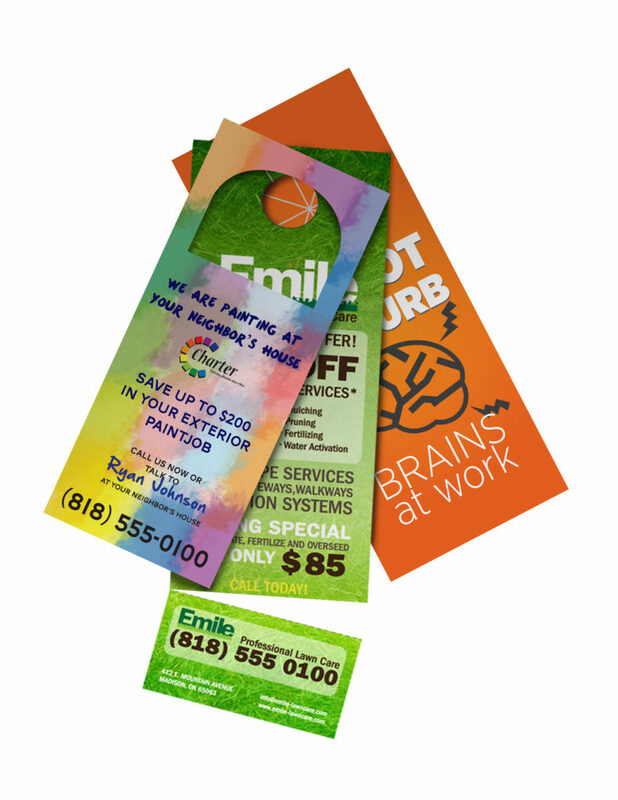 Door hangers are an effective marketing method that can be used for almost any type of business. Global Printing Solutions can create custom door hangers to help you advertise your business, or simply help increase workplace organization and productivity by printing door hangers for in-office use. Our professionals can help you determine the best use for your door hangers and create high quality and effective marketing materials. or contact our staff for assistance in developing a design.